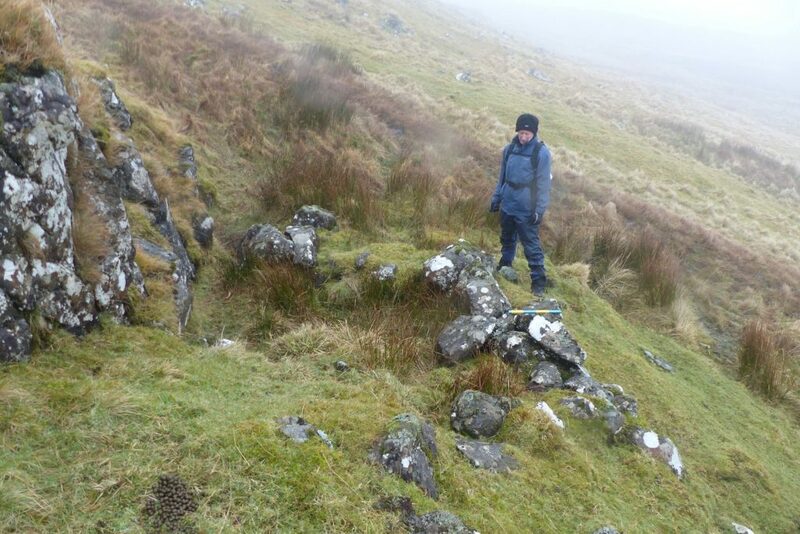 Members of AHHA spent Saturday morning high on the steep slopes to the west of Bourblaige, a clachan cleared by the Ardnamurchan Estate in 1828 – some of its ruined houses are just visible at bottom right of this picture. 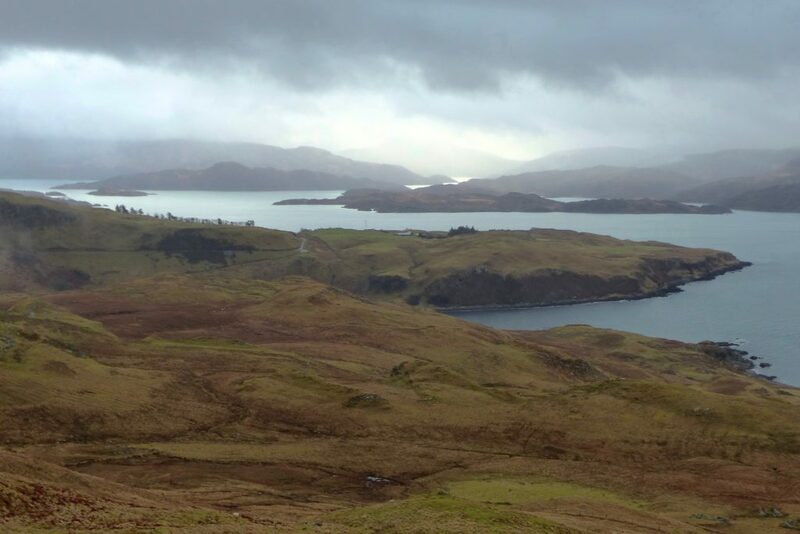 It’s a superb area, with magnificent views across Camas nan Geall into Loch Sunart – when the low cloud and driving drizzle permits. The purpose of the expedition was to take a look at this 13m long structure which, from the slope immediately above it, looks an unusual lozenge-shape. It sits on a ledge in the hillside, backed by a small, rocky scarp. 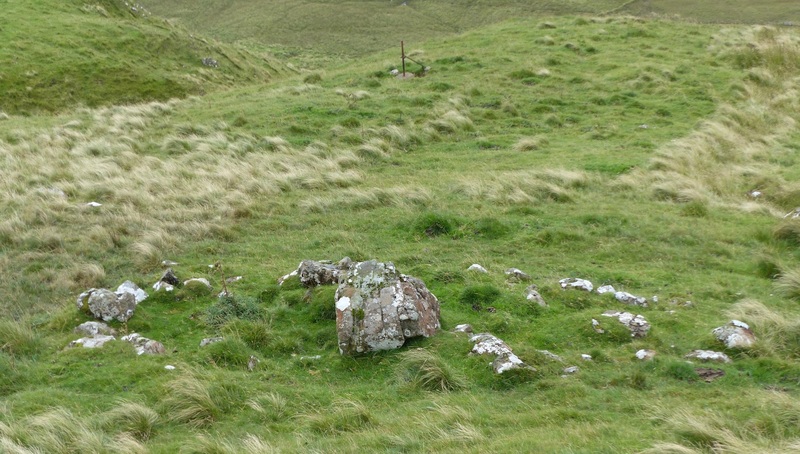 We assume that the boulder in the middle has rolled down the slope in the years since it was occupied. 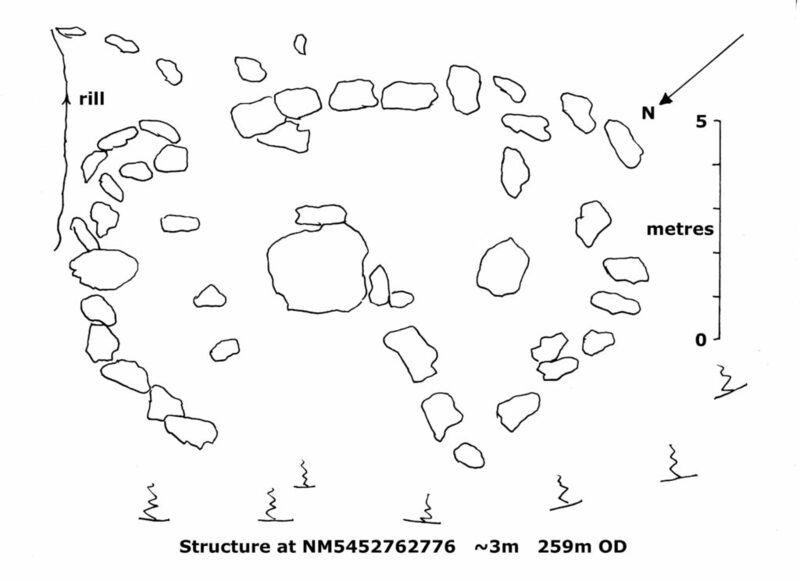 New AHHA members Julie and Stewart, both of whom are keen archaeologists and, as it is evident, highly competent at drawing, produced this sketch plan which shows that the structure is almost circular and, therefore, very likely to be a shieling hut rather than something more exotic. 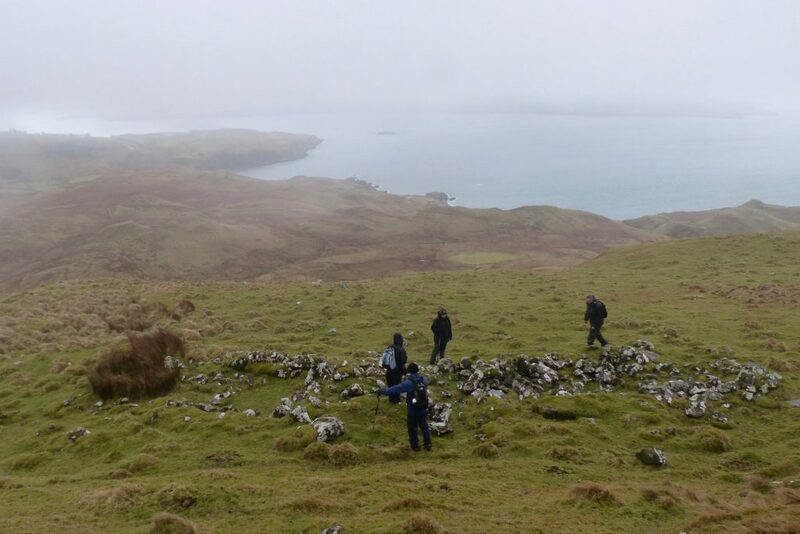 This is supported by two other structures immediately to the north, both of which are round shieling huts. They’re large compared with many other local huts, with walls which were very substantially constructed. This one is about 7m in diameter, with a smaller structure to its north side, perhaps a byre for a lambing ewe. 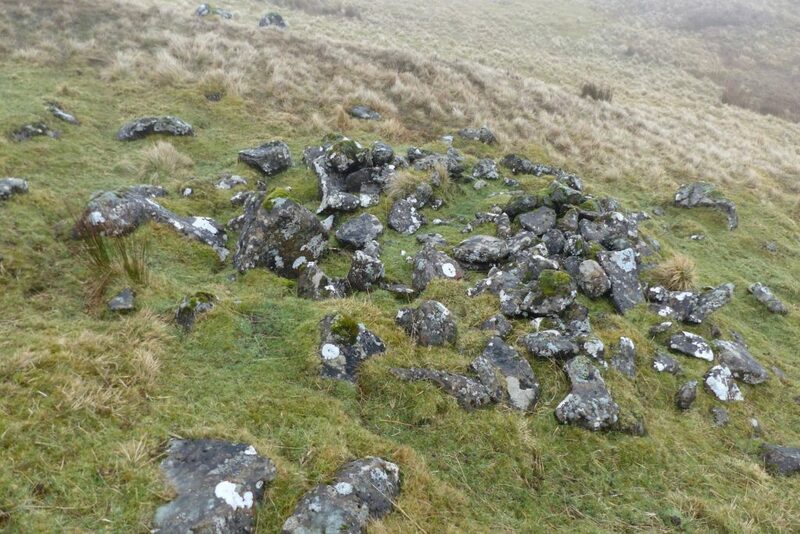 A bit further along, built right up against the low cliff, is this structure which may have been a shieling hut but, if it was, a very damp one. It seems more likely that this was a pen for animals. Just below the site we were exploring we found this elongate structure. Some 20m in length, it consists of at least five separate ‘rooms’, some elongate, some round. Sadly, having spent far too long finding the first site, we didn’t have time to map and study this one – but it’s something we definitely need to return to, perhaps on a warm, sunny summer’s day.